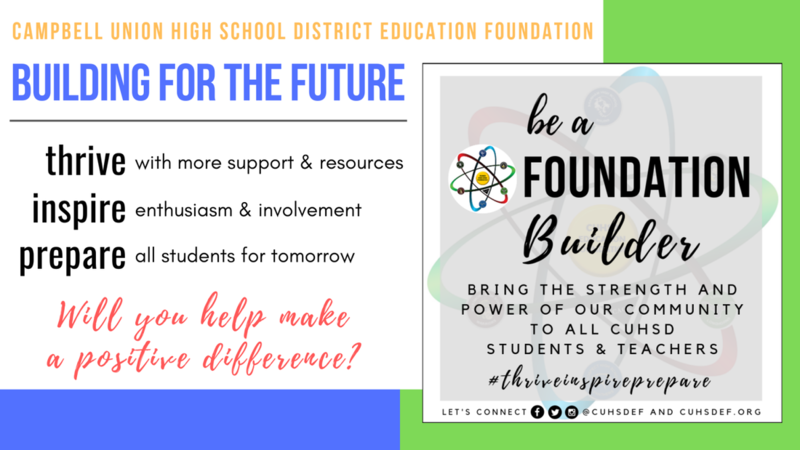 Join us as we build a Foundation of programs and financial resources for the benefit of all CUHSD students and teachers. Make a tax-deductible donation today and we will recognize your contribution and support. Will you be the first builder?